Charles Gee is the managing partner of Gee & Lee, PLLC. He is based in the firm’s Orlando office where he practices personal injury law. He has worked extensively in matters involving premise liability, auto accidents, and civil litigation. Mr. Gee founded Gee & Lee, PLLC with his lifelong friend Adaryll Lee in 2016. While in law school, Mr. Gee began his legal career through a clerkship with the Honorable Judge Faye Allen in the Ninth Judicial Circuit. He also interned at a large personal injury law firm in the Central Florida area primarily handling auto accident cases. Attorney Gee is a proud FAMU Rattler. 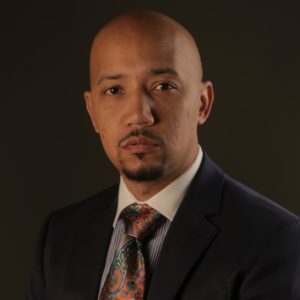 He earned his Juris Doctorate in 2014 from Florida A&amp;M University Law School and his Bachelors of Science degree in 2009 from Florida A&M University, where he majored in Journalism. Attorney Gee is licensed to practice law in Florida and Georgia. He is a member of the Florida Bar and Georgia Bar and is an active member of the Young Lawyers Division in Florida. In 2016, Attorney Gee was recognized by the FAMU College of Law as the Young Alumni Award recipient for his outstanding work in the legal profession in conjunction with his continuous community service efforts. Attorney Charles Gee is native of Gadsden County. He was born and raised in Quincy, FL where he also attended James A. Shanks High School. He remains active in the Gadsden County community through his works with his RED Non-Profit Corporation and with the Sow-a- Seed non-profit organization, New Bethel A.M.E church, and the Shaw Quarter’s Community coalition.